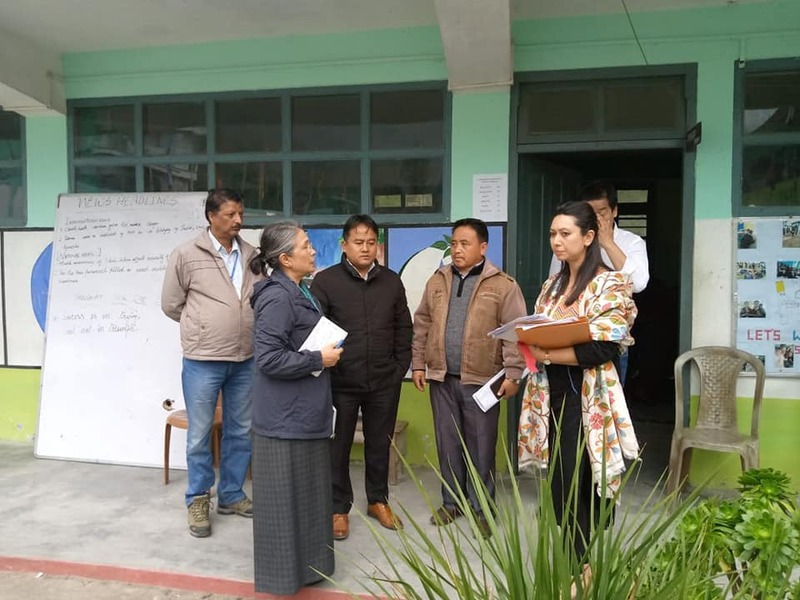 Gyalshing, 06th Apr (IPR): Accessibility Observer (AO) for West Sikkim, Mrs. Ambika Pradhan, IAS, who arrived on 05th April, 2019 visited the Polling Stations of West Sikkim. Accompanied by Mrs. Bhumika Pradhan, District Nodal Officer for Accessibility and Pink Polling Booths, the A.O visited numerous polling station to access the facilities available for the PWD Voters of the West District. She also interacted with the Sector Magistrates, FSTs and BLOs of West Sikkim.